Today's digital and IP systems require more than a test slide. See the latest in video-audio T&M gear at IBC 2018. In today’s high-tech, HDR, WCG, 4K and 8K video world, the quantity of data contained in the content has surpassed any human’s ability to look at a TV monitor and identify potential technical issues. Solution--a wide range of new test and measurement equipment and T&M companies are keen to show their wares at IBC 2018. While we would like to provide an advance look at everything expected to be on the show floor, some exhibitors save featured products for opening day announcements. Check back with The Broadcast Bridge on opening day for the latest updates on new gear. A check of the IBC exhibitor's list shows 78 companies in the T&M equipment and software category, 42 multiviewer exhibitors, and 32 companies showing quality control and network monitoring and SNMP tools. Some of these companies have yet to announce the IBC products on show. Following alphabetical list contains the latest information available. Bridge Technologies will once again participate in the IP Showcase at this year's IBC. The company will highlight the capabilities of its VB440 High Performance IP Appliance Probe in conjunction with its innovative Instrument View. The window provides a highly visual, deep analytics display for the VB440, and the company will demonstrate how its solutions work with, and support SMPTE ST 2110 and ST 2022-6 standards. 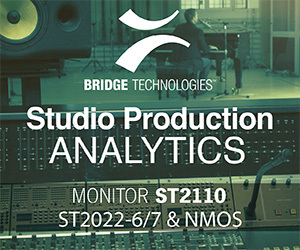 The Bridge Technologies VB440 High Performance IP Appliance Probe and innovative Instrument View user interface provides a highly visual deep analytics display demonstrating how important ease of use is in an ST2110 world. Interra Systems will demonstrate file-based workflows at IBC 2018, by showing how OTT service providers can deliver exceptional audio-video quality on every device. In addition to offering unified QC and monitoring solutions, Interra Systems plays a larger role in the digital media solutions space through innovations in artificial intelligence (AI) and machine-learning (ML) techniques, which will also be highlighted at IBC 2018. At the show,the company will spotlight its BATON ABR and ORION-OTT solutions, which set the benchmark for high-quality streamed video. BATON ABR and ORION-OTT perform deep QC and monitoring for VOD content from ingest to NOC and other distribution points. 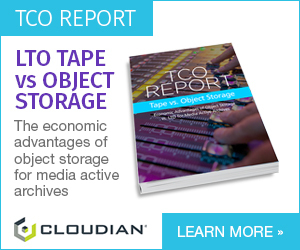 Through demos, visitors will be able to see how BATON ABR’s exhaustive checks at pre- and post-transcode stages, along with ORION-OTT’s comprehensive, delivery-specific checks and features, assure exceptional QoE for every stream on every device. For live-event streaming, ORION-OTT offers a high-performance platform that can monitor a large number of streams for ABR compliance along with audio-video quality checks in real time. The solution suite also supports closed captions, ad verification/compliance, and DRMs. WINNOW is the company's ML-driven add-on for its globally deployed BATON QC solution. Enabled by AI, it broadcasters with a high-performance compliance solution powered by ML and computer vision technologies. Seamlessly integrated with BATON, this enhancement can be deployed in both cloud and on-premises environments. Relying on user-defined rule sets, WINNOW automatically checks compliance and identification of content against regulations in different countries, regions, and organizations. The company's VEGA media analysis solution will also be on the stand. Recent updates to the VEGA family include in-depth analysis of ABR formats, support for Windows 10, the latest HEVC HM reference code, HEVC-interlaced streams, VP9 streams (4:2:2, 4:4:4), PCAP streams, Dolby AC-4 audio, and AVS Plus video. Newly added VEGA ABR software provides in-depth analysis, debug, and troubleshooting of complex ABR streams, making it an indispensable tool for checking the quality and integrity of manifest files and variants. 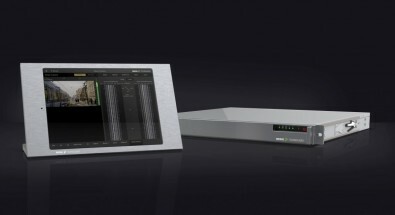 The Leader LV5333SER02 HDR option enables the LV5333 to measure High Dynamic Range with HDR CINEZONE. Leader Instruments will debut and demonstrate the LV5333SER02 HD-HDR Option in Europe at IBC2018. The option is a software license key that can be installed after the purchase of the LV5333. With the option, false colors (HDR CINEZONE) are used on the picture display to indicate the areas and levels of HD High Dynamic Range, so operators can easily confirm the presence of HDR and the level. The LV5333 Waveform Display also indicates HD HDR levels. The LV5333SER02 option is compatible with carious HDR standards, and it supports HLG (Hybrid Log Gamma) conforming to ITU-R BT.2100, ARIB STD-B 67, SMPTE ST 2084 and PQ (Perceptual Quantization). It also supports S-Log 3, Log-C and C-log. HDR CINEZONE enables the user to check the brightness levels of HDR content easily by displaying the SDR range in monochrome and the HDR range in color. The HDR scale matches the WFM scale to the HDR standard. Omnitek recently added AV over IP and video warp Chipset solutions to its Design Services and FPGA IP-cores giving equipment manufacturers more access to the company’s expertise in 4K and higher resolution video designs. Applications range from camera to display, including lens corrections, image stitching, raw sensor and High Dynamic Range processing, scaling, mixing, connectivity and overlay graphics. 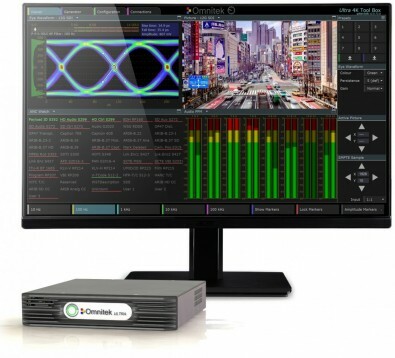 At IBC 2018, Omnitek will show the new Ultra XR UHD Video Waveform Rasterizer that addresses the demanding requirements of extended resolution production QC and 4K post production grading. The company will also show and explain the Omnitek Ultra 4K Tool Box. It provides conversion, generation and analysis of TV and Digital Cinema signals in all current and anticipated video formats up to 4096 x 2160/60. It is specifically engineered to allow manufacturers, designers, researchers, broadcasters and systems integrators to build, test and commission 4K products and systems with total confidence. There are also applications for the Ultra 4K Tool Box in Outside Broadcast vans and networks. The IBC2018 T&M Preview, Part 2 will discuss the IBC exhibition plans of Phabrix, Sencore, Tektronix, Telestream, Torque Video Systems, and Video Clarity.